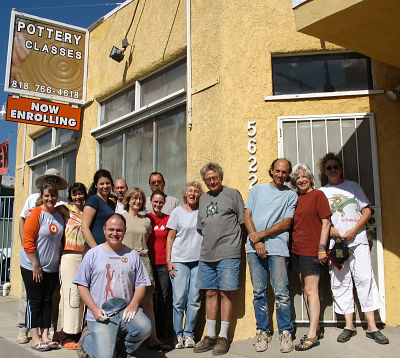 Berman Ceramic Arts (also known as the Cahuenga School of Pottery), founded by Harry Berman almost 40 years ago, is the most highly recognized school for pottery instruction in the Los Angeles area. 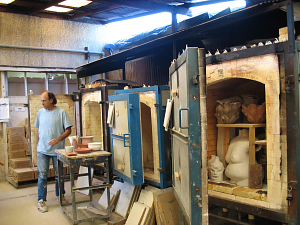 The Studio City Sun Times calls Berman Ceramic Arts "An artists' haven and the coolest creative arena you may never have heard of—before now." The Burbank Daily Review calls it "...an eye–opener" and the Tolucan Times say it "...continues its commitment to enriching the community through participating in the arts." This nurturing atmosphere fosters creativity and friendship while providing guided individual technical instruction. Many experienced students, who've attended the school for 10 to 15 years, take great pleasure in welcoming and assisting newcomers. Executive director Harry Berman carefully chooses all Instructors. Each with a unique aesthetic and approach to teaching, with Masters Degrees in ceramics they are also college instructors and exhibiting professional artists. The school is completely equipped with lots of potters' wheels, gas kilns from small to walk-in, electric kilns, a Raku kiln, slab rollers, an extruder, spray equipment — and plenty of room to spread out and work. The large variety of clays and wide assortment of high and low fire glazes provide unlimited avenues of expression. The diverse and thorough courses range from the beginners "Introduction to Ceramics" to intermediate and advanced classes where hand-built and wheel thrown pottery, abstract and figurative sculpture are created. The weekly demonstrations, small class-sizes (8 to 16 students), 9-week semesters with open studio time, and the ever-changing curriculum create an exciting learning environment. A haven from daily stress, Berman Ceramic Arts is a terrific place for beginners and accomplished ceramists alike to explore the world of clay. Working with clay is magical, it allows for the freedom of self-discovery and most important, enables us to get in touch with the simple joy of playing in the mud again. We look forward to having you join us.